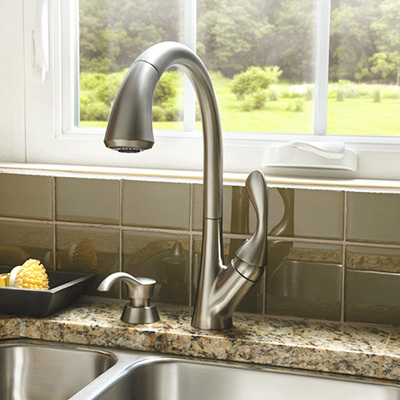 Have you tried everything you know about plumbing to unblock a clogged kitchen drain or install a new kitchen faucet? You may be keen on DIY projects, but the time will come when you need to give in and call professional plumbers to get the job done for you. Kitchens are a staple in any home. Whether you are planning a kitchen remodel and need help with installation, or have other repair needs, we are here to help you achieve your dream kitchen. Kitchen drains block as time passes. They run slower and slower as fats, greases, detergents, and soaps deposit along the inside walls of your pipes and ultimately result in obstruction. Our plumbers can de-grease, clear, and remove all build-up. From clogged drains, to garbage disposal installation, all the way to a dishwasher repair, find the service you need to get your kitchen plumbing problems solved, the FIRST time. See our list of services.